Again, it all comes down to companies not living their values. You have to not just talk the talk but walk the walk. Productivity, profitability and employee well-being all comes down to values not being practiced. Where do employee frustrations come from? More often than not is because of miscommunication. It’s from confusion. Employees need to feel like their goals and the goals of the business — and its leaders, need to be aligned and not just in paper, but in practice, too. 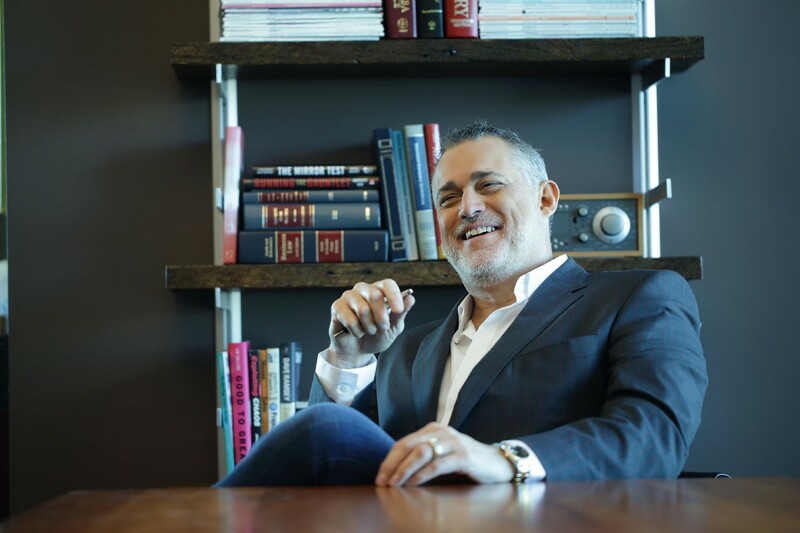 Jeffrey Hayzlett is a global business celebrity, speaker, best-selling author, and Chairman and CEO of C-Suite Network, home of the world’s most trusted network of C-Suite leaders. Hayzlett is a well-traveled public speaker, former Fortune 100 CMO, and author of four best-selling business books: Think Big, Act Bigger: The Rewards of Being Relentless, Running the Gauntlet, The Mirror Test and The Hero Factor: How Great Leaders Transform Organizations and Create Winning Cultures. 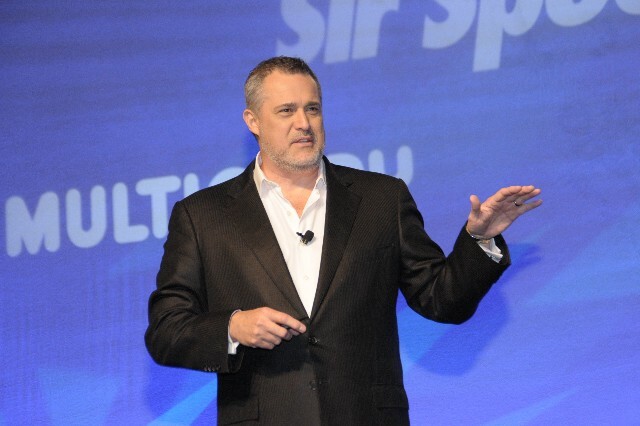 Hayzlett is one of the most compelling figures in business today and an inductee into the National Speakers Association’s Speaker Hall of Fame. 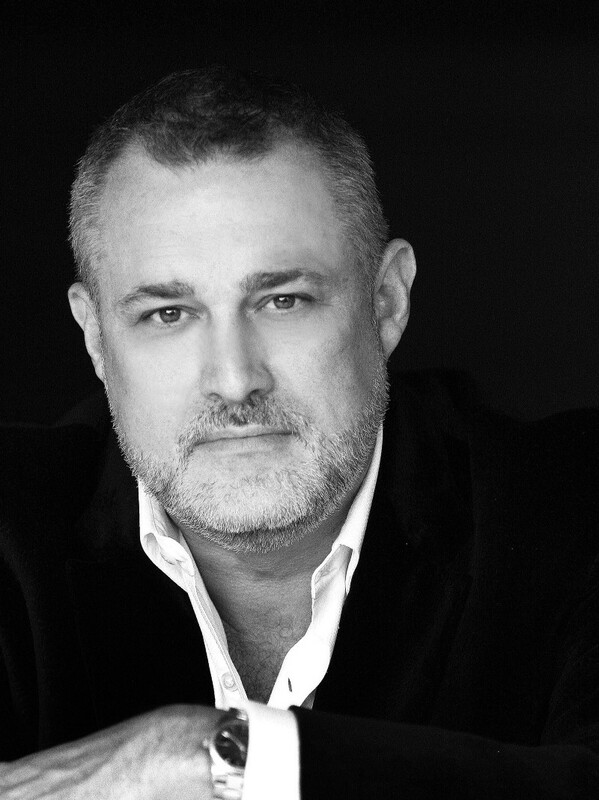 As a leading business expert, Hayzlett is frequently cited in Forbes, SUCCESS, Mashable, Marketing Week and Chief Executive, among many others. He is a turnaround architect of the highest order, a maverick marketer and c-suite executive who delivers scalable campaigns, embraces traditional modes of customer engagement, and possesses a remarkable cachet of mentorship, corporate governance, and brand building. I’m all about sales & marketing — and that started at a very young age. When I was seven years old, I went door-to-door selling subscriptions to “Boys Life” and “True Grit.” That’s how I made my money, even at that young age. I wanted to convince people to do what I wanted them to do, so through hustle and grit, I got them to buy my magazines and it made me some money. There was no downside to that for me. As an adult, it stuck with me. I’ve had the entrepreneurial bug since I left my mother’s womb. I like to push boundaries and set my own rules, which doesn’t usually work in some parts of corporate America. So, I decided to do what I knew was right for me: be an entrepreneur. Still selling and still doing marketing. “The Katelyn Rule.” I’ve told this story numerous times before, but it remains one of the most relevant learning lessons for any young professional. So much so, it even made it into one of my books. Katelyn was someone I hired because I saw a world of potential in her. She took to social media to promote the event I was scheduled to speak in, and she did the social promotion consistently and smartly. A few weeks later, I hired her and right before we were to attend a big presentation (her first with me), she asks, “Should I bring color copies of our presentation to the meeting?” My reply to her was, “Let’s imagine that you get to ask me 21 questions a month. Are you still going to ask me right now if we should take color copies to a meeting that we’ve been preparing for since you started?” The moral of the story is if I have to answer something or do something that you should be able to answer for yourself, then why do I need you? I’m working on promoting my latest book, “The Hero Factor: How Great Leaders Transform Organization and Create Winning Cultures,” talking about what traits companies and people need to have in order to embody hero leadership. Leaders should be able to communicate a clear vision of where they want to go and their ability to implement ideas. The premise of the book is to help companies achieve their potential about what makes hero leadership and hero companies and why we need them: It shows readers how they can learn from them and pledge to implement the core principles to become part of this movement―all without dismissing the power of profit and rejecting the notion that making money is the root of all evil. The workforce is unhappy because they feel like they don’t have a purpose & their company is not living their values. 28 percent of employees don’t know what their company stands for and not knowing causes severe miscommunication and confusion. No one likes not knowing where they stand, so companies need to take a good, hard look at themselves and assess where they currently are on their leadership scale. It’s not an easy thing to do, especially if they’re lacking operational excellence, but it’s something that needs to be done if you’re looking to elevate your leadership skills. Based on your experience or research, how do you think an unhappy workforce will impact a) company productivity b) company profitability c) and employee health and well-being? 1. Set values that everyone can follow — top to bottom of the organization. We had a client we worked with who, when you visited their HQ’s, had the company values printed and displayed everywhere — from the break room, to the lobby, to the copy room. Everyone in the organization knew where they stood & how they had to handle things every day in order to reach their goals. 2. Pick a side — Do you want to be on the side of change and progress or the side of retaining the status quo? Not wanting to upset the apple cart keeps people from reaching their true potential. Just because “it’s always been this way” is not a good enough reason for me. Early in my career, I was new at this job & the people in the room kept saying “Because that’s how we’ve always done it.” I didn’t say anything because no one wants to hear from the new guy. That’s one move I regret. 3. Be more inclusive — Everyone in the office needs to know the direction the company is going. And while not everyone needs to know every detail or be in every single meeting, they need to know where they’re headed. Our company holds quarterly meetings in order to assess where we are as a company, address any issues that may arise and work towards fixing those issues and operate smoothly the next time around. 4. Diversity — Not just gender or race, but diversity of thought. At my company, I have a wide group of people ranging in expertise, age, etc. I’m a believer that millennials bring as much to the table as a Gen X’er or Baby Boomer. We can all learn from each other, basically busting the myth that old dogs CAN learn new tricks. 5. Focus — Focus on what matters. What is your call to action? How do you step up to overcome the ordinary business world? Disrupt the status quo and move beyond the normal you’ve grown accustomed to. I push everyone in my office past their comfort zone — and I mean everyone. Sometimes people get mad at me for pushing, but they also realize down the long run, that there was a method to my madness. Have values defined — all revolves around values. The workforce is unhappy because they’re not engaged, and they’re not engaged because the company values aren’t defined. Employees need to feel like they have a purpose and they understand WHY they’re in the game. Leaders need to develop the right culture by making everyone realize why they’re in the game and how they contribute every day. Avoid the success trap & focus on the values. That’s how you reverse the trend. My leadership style is direct and open. I always encourage my team to voice any questions or concerns they might have about anything pertaining to the company — processes, frustrations, clarifications, etc. I’m also all about creating healthy tension — pushing boundaries is how you grow personally and professionally. Throughout my career, I’ve had several mentors, but the most impactful one was Mike O’Connor, the owner of a print shop I ended up purchasing. He taught me the proper way to run a business; including what benchmarks to use to determine how much I needed to sell, how to set up metrics and KPI’s, and how to properly understand the targets I needed to hit. To this day, I still use these same teachings on a regular basis, just on a much bigger scale. I have worked with “hero” leaders — first with Rob Ryan, who founded The Hero Club and now I look to continue his legacy to build a movement. The Hero Club’s mission was to mentor and encourage current entrepreneurs with high growth potential as well as the next generation of entrepreneurs coming up the ranks. I wanted to create a movement that welcomes everyone who is serious about their business and not think of entrepreneurism as a “get rich quick scheme,” a movement that values people AND profits, and those who believe in sharing their successes and wealth with those who helped get us to where we are today. “A business that makes nothing but money is a poor business,” by Henry Ford. One of my conditions of satisfaction is to make money, so this has resonated with me throughout my career. Money may be how we keep score, but any idiot can make money. Force companies to take a hard look at themselves. I want to create a movement where people and profits can happily co-exist. I want to inspire entrepreneurs and business owners to go on a transformational journey to have business and humanity co-exist peacefully and without reservations. An environment where businesses push the status quo, and reap big rewards for people, clients, vendors and everyone in between.